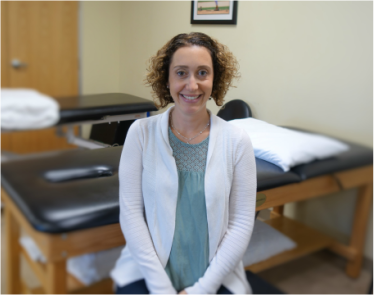 Amy joined the San Ramon Valley Physical Therapy team in 2013. She attended Sonoma State University where she obtained her BS in exercise science with an emphasis in adult fitness. After working in several clinics as a rehabilitative aide, she decided to continue her education and graduated with a PTA degree. Being an active person and participating in numerous sports, she has grown to appreciate the amazing things that the human body is capable of achieving. Amy takes pleasure in assisting and educating patients on how to improve their overall health and vitality. Her particular physical therapy interests include orthopedic conditions with the knee, foot and ankle. Outside of work, she enjoys spending time with her husband, family, and friends.